I had intended to try and read a total of 30 books last year, but ended up with only 25 read. Still, I suppose it’s better to aim high and miss, than set a low goal and make it. I read a decent mix of fiction and nonfiction and continued my efforts to read more works surrounding World War II. Even though I didn’t make the goal I set, and some of the books I read were shorter reads, I’m still happy with the end result. I’ve broken this post up into two parts and have stuck with a rating scale of one to five stars. Five stars indicates that I really enjoyed a book, while a single star indicates that I hated it. This was a fantastic read about a little known rescue mission that took place in the countries once known as Yugoslavia. I really love the Balkans and as a big WWII history buff, this book was right up my alley. It was an interesting story about the pilots downed in that region, how they avoided capture by the Nazis, and worked together with the locals to form an elaborate escape plan that saved many lives. The book also offers interesting insight into the life of Draza Mihailovic, Serbian general and leader of the first Yugoslavian resistance. Mihailovic was the adversary of Josip Broz Tito, the communist leader, who would later became President of Yugoslavia. Though the two men both worked to overthrow the fascist Nazi regime, it was Tito who was lauded for the resistance efforts. While, I really enjoyed the book, it seemed to be written from a somewhat shortsighted, perhaps even biased point of view. I don’t know that this was the author’s intention, but a little research revealed that there were certainly some holes in some of the eyewitness accounts and Mihailovic was certainly made out to be the tragic hero. Knowing what I do about this region of the world, I’m sure that the truth lies somewhere in the middle. My rating reflects the fact that I thought the book lacked unbiased research, though I would certainly recommend it if you enjoy history and can absorb the information with a grain of salt. 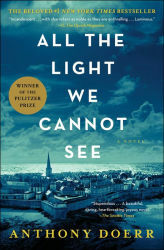 With all of the nonfiction books I have read about WWII and the Holocaust, it can be difficult to read novels from this genre without being overly critical of the content. This book was unique, and well written with an interesting lineup of characters. I enjoyed that the story was told through the eyes of a German orphan and a visually impaired girl who hailed from France. I also liked that the author told the story through the perspective of youth, rather than the typical adult living in those times. It was certainly a different take on WWII literature, which is why it definitely received some criticism from historians. Even with the criticism, I will say that I enjoyed reading this book much more than other WWII novels and I can see why so many people have rated it so highly. I loved this book! I wasn’t that intrigued when I read the synopsis, but it had been recommended by so many people that I knew I had to give it a chance. It was extremely well written and if you don’t end up falling in love with Ove, there’s something wrong with you. I found myself giggling at so many of Ove’s thoughts and actions and there were also times when I had a few tears in my eyes. If you need a feel good book, this is definitely the one you should get. I gave it four stars, but it should really be four and a half. This was a quick read that I happened to find at my local library. The book is about community and and it’s impact on the individual. I was intrigued by a lot of the ideas presented in the book. For instance, the author mentions research that Israeli soldiers have a much lower incidence of Post Traumatic Stress Disorder than those in Western countries. I wanted to know even more about these thought provoking topics, but I felt that the author only lightly touched on them. I think this book was a good start, but fell a bit short. I just wish that the author would have dived deep into the issues around isolation, unique communities, and how the effects they have on individuals living in them. This was such a fun series to read. 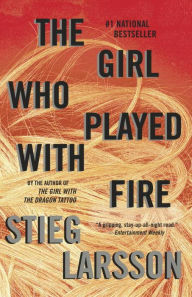 I can see why it has such a cult following and I really loved Stieg Larsson’s writing style. The author himself had a very fascinating life story, which is interesting to read if you find you enjoy the series as much as I did. Sadly, Larsson has passed away and was only able to publish the first three books in the series. Subsequent novels have been published in the series, but they were not written by Larsson himself and there is controversy over whether or not the series ought to have continued in the first place. I’d give the entire trilogy between three and four stars. This is by far the best book in the trilogy and works as a stand-alone novel as well. The main plot is a twisted murder mystery, but there’s also an organized crime side plot to keep you turning the page. It’s pretty much a guarantee that you’ll be hooked and won’t want to put it down. I really enjoyed the characters Larsson created and the fact that he writes strong female characters of various backgrounds. The men aren’t wimpy either, which makes for a really well rounded cast. Larsson is definitely a feminist, which is refreshing given that he’s a male writer. If you only want to read just one book in the series, it should be this one. The second book in the series offers more insight into the character of Lisbeth Salander. You get a lot more information about her backstory and traumas she has experienced. The book certainly holds your attention, but doesn’t have the same scope as the first. There’s also some a lot of tension between the main characters that I didn’t really enjoy, though I can see how it helped to move the plot along. Still Larsson’s writing and characters are enough to keep you turning the pages and your never quite sure where the plot is headed. If you enjoyed the first book it wouldn’t hurt to continue with this one. If you made it through the first two novels, you have to keep going because book number two literally leaves you hanging. This book is quite a bit different from the first two because a lot of it takes place within the confines of hospital rooms and legal battles. A lot of the peripheral characters have more of a voice in this book as well. There is some action toward the end of the book, but it will take you some time to get there. The book has a satisfying ending, though perhaps a bit unbelievable. It’s a fun read if you’re a fan of the characters and the first two books. By the end, you’ll probably feel a little sad knowing that Larsson died before being able to publish anything else in the series. Ever wondered how some people make it out of impossible situations? Then this book is for you. I’m always interested in learning more about those who are able to survive devastating circumstances and sudden catastrophes. This book was a fascinating look at people who have done just that and steps you can take to increase your odds of survival. I was raised as the child of two law enforcement officers, so I already knew some of the steps to take, but there were a few techniques that I picked up along the way too. For example, I’ve since started locating the stairs in every building I visit and make it a point to go up or down the stairwell in an effort to familiarize myself with escape routes. There are also a few stories in here about men and women who put their life on the line in order to save others; another topic that I find fascinating. I’m always interested to learn how these people think and the actions they take, though most of them will tell you that they’re just the same as me and you. I would hope that I would be able to act as courageously as they do in the face of danger, but you never actually know what you will do until you find yourself in that moment. Four and a half stars. This was one of the books that I purchased during my visit to Auschwitz. The lady working in the bookshop highly recommended it and I was wise to listen to her. This was a fantastic account of Halina, who grew up in Poland, lived in the ghetto, and ultimately survived several concentration camps including Auschwitz. Her story will gut you, but I think these types of stories are the most important for us to read. What impacted me the most about her account was her mother’s instincts and efforts to save Halina and others from the Nazis. Halina’s mother was truly amazing, always doubting the lies they were told and refusing to do as the Nazis commanded. Her mother took great risks to save her family and friends and in Halina’s case, her efforts paid off. I would recommend this memoir even if you typically don’t stray from the genre of fiction. Five stars! Many people consider this book one of the most influential books ever written. It’s not a lengthy read, but it is deep. The book details some of Viktor Frankl’s experiences in WWII, but takes on a philosophical approach that most WWII accounts never delve into. Unlike most holocaust survivors, Frankl applies his ideas on philosophy to his experiences. Experiences that seem completely senseless and have no logical explanation at all. It’s definitely a different take on survivor accounts and some might find the topics presented to be a bit too complex. It will definitely give you food for thought, when you consider how Frankl was able to use his experiences in a positive way and gain deeper insight into the human psyche. Five stars. I am a big fan of Winston Churchill so it was a pleasant surprise when I came across this book about his wife, Clementine, at my local library. I already knew a bit about their relationship from my visit to Blenheim Palace back in 2015, but it was fascinating to learn more about Clementine herself. She was such a remarkable woman, who had incredible influence on those around her, including Eleanor Roosevelt. I really do think she was the perfect match for Winston, though it seemed he may have driven her absolutely crazy at times. I’m convinced Winston would not have been so successful if not for her steady support by his side all those years. She really was his rock, especially during the dark times of WWII. Four stars. I always like to try and read one classic per year and since I was going to be visiting Romania, Bram Stoker’s Dracula seemed like the perfect choice to me. I wasn’t quite sure what to expect from the novel, especially because horror/gothic is not my typical genre. I really enjoyed the book and was able to appreciate how many of the sites in Romania inspired the backdrop for Stoker’s settings. I will also say that seeing Romania with my own eyes helped to build the scenes inside my head while I read. The story is a really interesting tale about good and evil through the lens of Victorian ethics. It will give you an insight into the roles and expectations that both men and women were expected to hold during that time and the relationships between both sexes. One thing that I really enjoyed about the novel was the camaraderie, especially between the male characters. It gave me a similar feeling as when I watch movies like The Lord of the Rings or The Goonies. Three stars. This is a highly rated book that I got cheap on an Amazon Kindle. I found the book short, but inspiring and it was easy to see the impact this little book can have. The author presents his series of short lectures in a humble and inspiring way. The principles he proposes are simple and easy to enact in your own life. It only takes about an hour or two to read, but it might be something that you want to revisit at a later date, when you’ve had a chance to let the principles really sink in. All that being said, I still don’t make my bed everyday.